Get the iOS or Android app now and start betting from you tablet or smartphone. Betway has been in the sportsbook business for more than 10 years and it has had its ups and downs. Fortunately, Betway has bounced back from the downs. Its mobile app is one of the ways it has bounced back, giving players a simple way to access everything that the site has to offer. The Betway app gives access to more than 2,000 in-play events each week, live sports, and virtual sports. In addition, you can take advantage of the welcome offer that gives you a 100% deposit match up to 30 GBP in the form of a free bet. Betway is working hard to make its place in the sportsbook market. There isn’t a special promo code for mobile users, but mobile users can take advantage of the new customer offer. This offer gives a 100% deposit match of 30 GBP after making a single bet or multiple bets of 30 GBP. This offer can be used on the mobile website or the mobile app. To use the mobile app, you can download it for your Android or iOS device. However, it’s finding the app that can present somewhat of a challenge. Although Betway has a great mobile app, there isn’t an obvious place on the website to find it. You can do an internet search for the Android app or find it through the betting help section of the site. You can find the iOS app in the Apple iTunes store by searching “Betway.” Customers using other operating systems will have to access the site through their mobile browsers. Once the app is downloaded, you can use your account from practically anywhere. Mobile browser users will also be able to use their account in most places except in countries, such as the U.S., where the site may not allow access because the account is being accessed from a country where online betting isn’t allowed. To activate the free bet, there are requirements that must be met. You don’t have to enter a promo code at the time you register the account, but there are some rules that you must follow. The first is to make a deposit of up to 30 GBP using your credit card, debit card, or PayPal account. If you deposit just 10 GBP, then your 100% match will be 10 GBP. After making the deposit, place a single bet with odds of 1.75 or greater, an each way bet with odds of 1.40 or greater, or a system bet with odds of 1.40 or greater. If you place a single bet or series of bets totaling the amount of your initial deposit, you will receive an instant free bet in your account that is valued the same as your deposit. You will have 7 days to use this bet. Once you receive the free bet, use it in its entirety. The maximum return you can receive from a free bet is 20,000 GBP. To make sure you download the app, receive everything it has to offer, and take advantage of the new customer offer, there are steps that you must follow. Below is a step-by-step guide to help you make sure you get the most out of the app and promotion. There are different deposit methods, but you must deposit using a credit card, debit card, or PayPal account to receive the 100% match promotion. Any other deposit method will forfeit the bonus. To activate the bonus, you must make a deposit of at least 10 GBP. This means that your bonus amount will be 10 GBP. To receive the entire amount, deposit 30 GBP so you can make a single bet or series of bets of 30 GBP. Once you make a single bet on an event with odds of 1.75 or greater, an each-way bet on an event with odds of 1.40 or greater, or a system bet with odds of 1.40 or greater, the free bet will be instantly credited to your account. The bonus cash is credited as a free bet and must be used as a single bet. There aren’t strict wagering requirements that must be met when using this bet. You can’t cash out more than 20,000 GBP in winnings. You also can’t cash out the stake. You have 7 days to use the free bet. There are other promotional opportunities that you can take advantage of on your mobile device. You can enjoy best odds guaranteed on UK and Irish horse racing. You can also receive deals on Betway Virtuals. Betway Virtuals includes football, greyhounds, horse racing, cycling, motor racing, and more. You can get money back if you lose, get paid as a winner if your horse leads at the last jump, and join the Free Bet Club where you can receive 10 GBP free bets. To be eligible for the welcome offer, your deposit must be made with a credit card, debit card, or PayPal account. There are other deposit methods available but using one of them will forfeit your chances for the bonus. The other deposit methods include Neteller, Skrill, Paysafecard, Entropay, ecoPayz, and BankWire. Before you can withdraw funds to one of the above methods, you may have to verify your account with a driver’s license or passport, a recent utility bill, and/or a copy of a recent credit card or bank statement. When making a withdrawal, credit and debit cards take up to 2 business days to clear, eWallets take up to 24 hours, and bank accounts take up to 2 business days. Reliable or Scam: How Safe is the Betway App? Betway has been in business for more than a decade. It has had quite a storied history as it has worked to find its footing in the sportsbook market. Fortunately, it has become a worthy competitor, especially in the area of its mobile app. Currently, the app holds a rating of 4.3 in the Apple iTunes App Store. This is a very high rating compared to some of the sportsbook’s competitors. Betway is also licensed by the UK Gambling Commission. This is important because licensing requirements aren’t to be taken lightly. A bookmaker must meet strict requirements to become licensed. One requirement is to ensure there are measures in place to keep people younger than 18 years of age from using the website. The second requirement is to make gambling addiction resources available to those who may be developing a problem or who already have a problem. 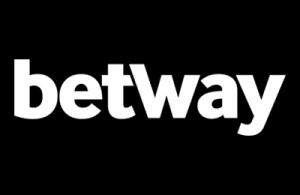 Overall, Betway has created a strong sports betting platform. The Betway app is certainly a major part of that. Although Betway hasn’t put a lot of emphasis on its app, which is made evident by the fact there isn’t an obvious link on the homepage, the app is a gem that gives a person a lot of functionality in the palm of their hand. This functionality extends to the ability to take advantage of the 100% deposit match bonus up to 30 GBP so you can have additional money to place bets with. It’s possible to win money stemming from the bonus cash and it’s withdrawable without strict wagering requirements that make it nearly impossible to cash out. How do I get the Betway app? There isn’t an obvious link on the Betway website for you to download the app, but you can find the Android app through the betting help page or by doing a simple internet search. Click the Android button to download the file to your phone. Open the file from your “downloads” folder after the downloaded to complete the installation process. The iOS app is in the Apple iTunes App Store. Simply search “Betway” and you will be taken to the app’s page. Click the “Get” button to download. No. The bonus is activated after the deposit and betting requirements are met. Is there a mobile Betway promo code? No. There are no mobile-specific promotions, so there is no promo code that has to be entered. Mobile users can take advantage of the welcome offer and any other offers on the Betway website.